Download today and enjoy all the latest features PlexFit has to offer. I would like to thank all the beta testers on the PlexFit Beta Testers Google Communities who have continuously provided feedbacks to make PlexFit better and better. Here is the list of intent action available in Tasker. Can you quickly explain ? That sensitivity setting is to ensure that sleep tracker is as personally accurate as possible for your sleeping pattern. If you see PlexFit reports very high awake time, it might because PlexFit sleep tracking algorithm is too sensitive for your sleeping pattern, you will need to lower the sensitivity to low. On the opposite, if your deep sleep number is very high, that means PlexFit is not very sensitive to your sleeping pattern, you will need to increase the sensitivity to high. Hope this helps you and others to find a sweet spot that you guys are happy. When you say low, do you mean - 1, - 2 or -3? Thanks so much! What settings do you recommend for deaf person using hands for signing in American sign language and is typing away on keyboard all day long? I would like to reduce number of false positives for the step counter. I would recommend step threshold 5, Rhythm algorithm with low pass filter on :). Make sure you do a calibration also. Thanks! I made these adjustments and will see if it improves the accuracy. Maybe you can include these settings in the phone app with a short description of what they do. Bonus if these can be adjusted in the Phone app and sent to the watch app. 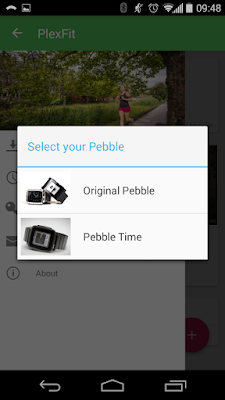 Hi, I've just installed PlexFit on a Pebble Time. Calibration shows -42. Could you please explain in more detail how to configure the Tasker to tell PlexFit/Pebble to automatically stop counting steps while I connect to car/motocycle bluetooth. The correct activity is: system/send intent. Why are step count numbers different in PlexFit and GoogleFit, approx. 10% (less in GoogleFit) even when the acivity monitoring is turned off at GoogleFit? after updating to 3.8 pebbles began to consider a lot of steps throughout the day. calibration done. in total day is like 50,000 steps instead 50000-6000. how to be? 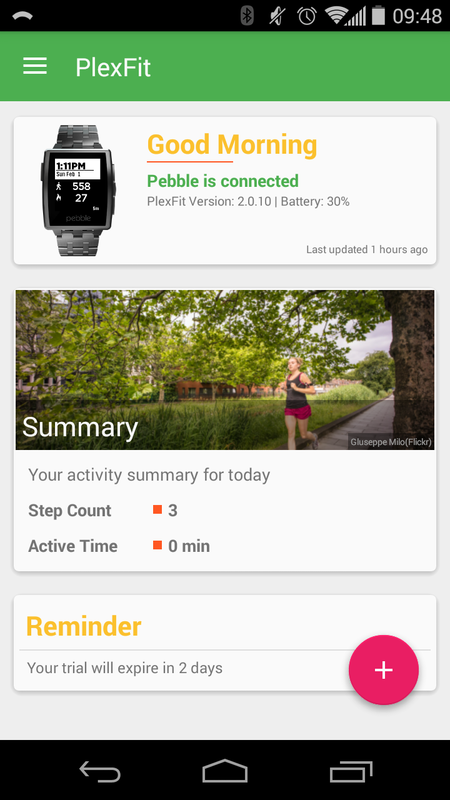 Could you change the display colors for the pedometer? Its not very well readable. I'm liking this app so far, wanted something that would record my activities to Google Fit for all my devices. Just with the sleep tracking, as my Pebble Time Steel does this anyway, and it's the only device I use for sleep tracking and it already syncs this information to Google Fit, do I need it turned on on Plexfit as well? Hi, have the updates stopped? Seems odd the last thing posted here i info of a beta release… and is this some sort of official site for plexfit? Is there a way to view step summary in graph or more detail like you can the sleep? Thanks.